In this design, the right edge is static, and data is added to the left side. 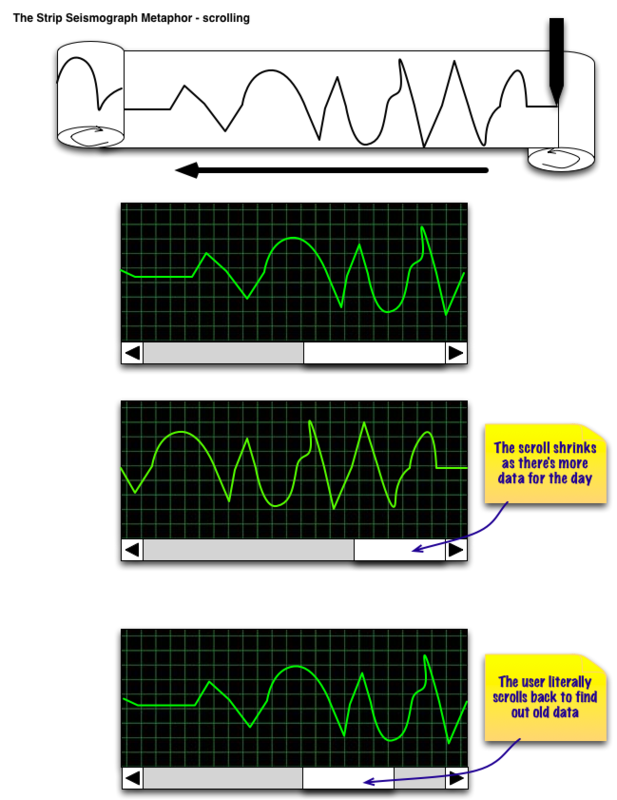 When the data reaches the left edge, the graph shifts to the right in a paginated fashion. I cannot rely on the expertise of my users, nor on their experience using computers. They will be interested in seeing the history, for instance, leaving the device on over the weekend to collect data, then coming in on Monday and reviewing it. The data comes in roughly once a second, so long periods of time can lead to lots of information for them to process. 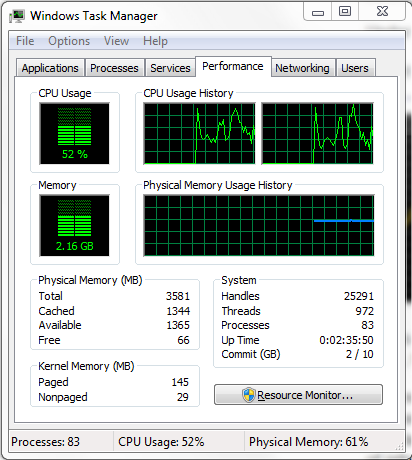 How much is contained in a single screenshot depends a few different factors (such as monitor resolution), but can come out to anything between one or two minutes to half an hour. Which of these two designs would be more useful to them? 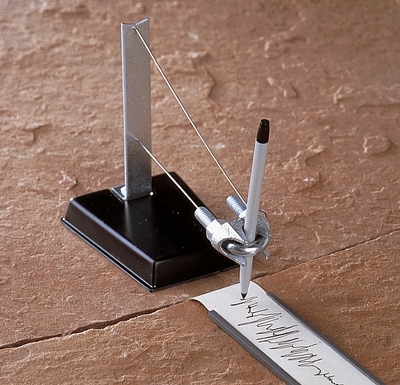 Let's search for an analog metaphor: the seismograph. 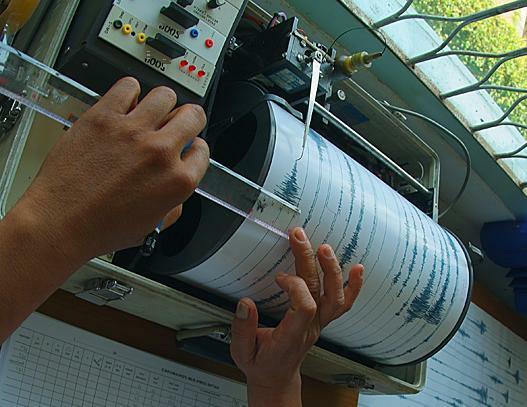 Seismographs are those little devices that show when there's an Earthquake coming. Their operation principle is simple: there's a piece of paper which is moving forward, and there's a pen, which is fixed on a spring. When the Earth shakes, the pen moves, causing the pen to move sidewise. 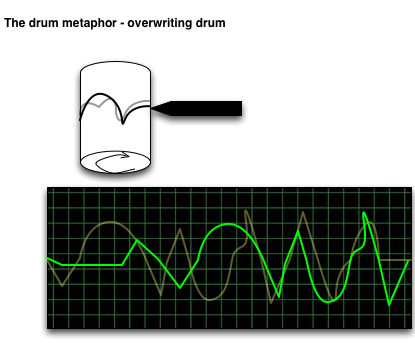 There are two kinds of seismographs available: one is the strip-based seismograph, the other one is the drum-based seismograph. 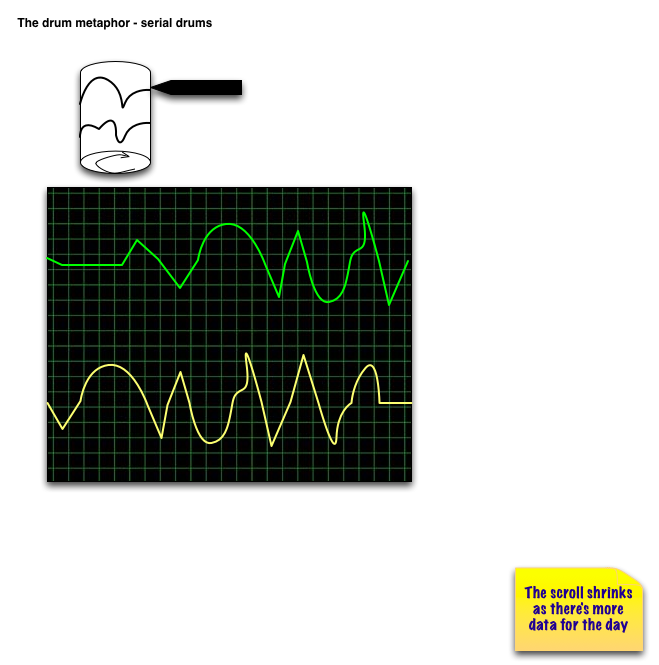 In practice, the drum seismographs are used in field today, as they're reusable. Their drum is essentially a whiteboard bended, and there's a mechanism which moves the writing head to the next column after each round. Now with these metaphors in mind, let's see what can we do. or you grab a part of the strip in your hand while it's still writing. show previous day's data with a different, less prominient color (like, gray), while today's data is overwriting it. The benefit for the latter that it doesn't need that much space, the problem is that it could be only used to show 2 cycles (let's say, 48 hours) of data. Not the answer you're looking for? 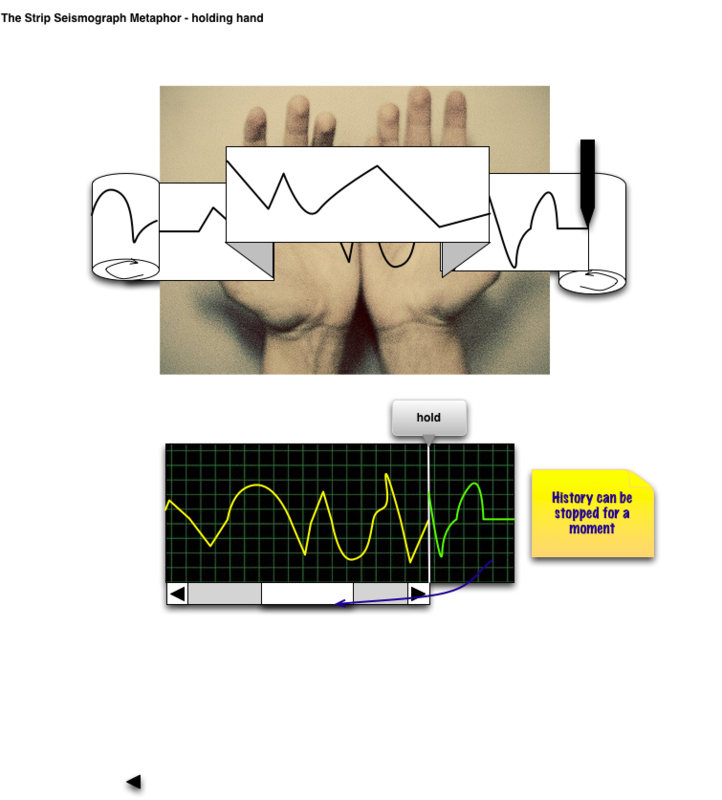 Browse other questions tagged charts real-time-updates or ask your own question. How to color curves in a Timeseries Chart?